The Nevada Gaming Control Board is investigating allegations of sexual misconduct against casino mogul Steve Wynn. The board governs Nevada's massive gaming industry. It announced its probe on Tuesday, just days after a Wall Street Journal report detailed a series of sexual misconduct allegations made against Wynn by dozens of current and former employees of Wynn Resorts (WYNN). Becky Harris, chairwoman of the Nevada Gaming Control Board, said it was unclear how long the investigation will last. 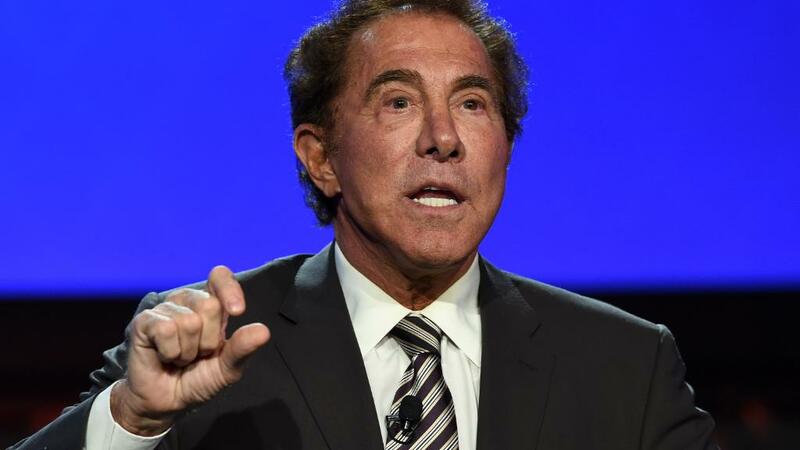 Wynn, 76, has denied the allegations, calling them "preposterous." Other regulatory organizations -- both domestic and foreign -- are also investigating allegations against Wynn. Earlier Tuesday, officials in the Chinese gambling hub Macau expressed concern about reports of Wynn's "inappropriate behavior" during a meeting with Wynn Macau's (WYNMF) leadership. The Macau officials said they asked the company for more information. The Massachusetts Gaming Commission said Sunday it was reviewing a license it issued to Wynn Resorts for a resort casino. "The Commission is now aware of and is taking very seriously the troubling allegations detailed in the Wall Street Journal article," said Elaine Driscoll, director of communications for the Massachusetts Gaming Commission. Leaders within Wynn's own organization also want answers. On Friday, Wynn Resorts' board of directors announced that it formed a special committee to investigate the company's founder and CEO. The company had previously issued a statement criticizing the Journal report.